Move on! Next week! Internet Week Ljubljana! October 15th, 2013 Comments Off on Move on! Next week! Internet Week Ljubljana! Proud to announce that my favorite startup community has matured to the stage, where we had to organize Internet Week – a whole week packed with events of various kinds, by several partner organizers, on multitude of topics. We are sponsored by the Digital Champion of Slovenia. You should all take time between October 23rd-30th, and go visit at least a handful of the events, and get to know the community better. At Zemanta we will be hosting startup crawl next friday, when everyone is welcome to stop by for drinks and chats about the future of the web publishing. I was fortunate to see how Internet Week NY developed, from it’s modest first year 2008, to an overwhelming festival of entrepreneurship it is now. I hope Ljubljana will follow a similar path, as it is the only way to the future. 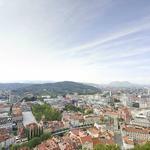 Ljubljana 20 Gigapixel 360 Degree Panorama is Now Live! 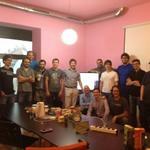 Can Ljubljana become web-capital of Europe? You are currently reading Move on! Next week! Internet Week Ljubljana! at Rational Idealist.